Need things to do in Maui? Save big when you rent beach and surf gear or book boat excursions, whale watching tours, helicopter rides, and more through our activities partner. Receive special discounted rates at The Snorkel Store, our island activities partner. We are excited to announce our new partnership with The Snorkel Store, Rated 5 Stars on Google Places, TripAdvisor, and Yelp. Stop by one of their locations in Kaanapali and Kihei and see what the BUZZ is about. 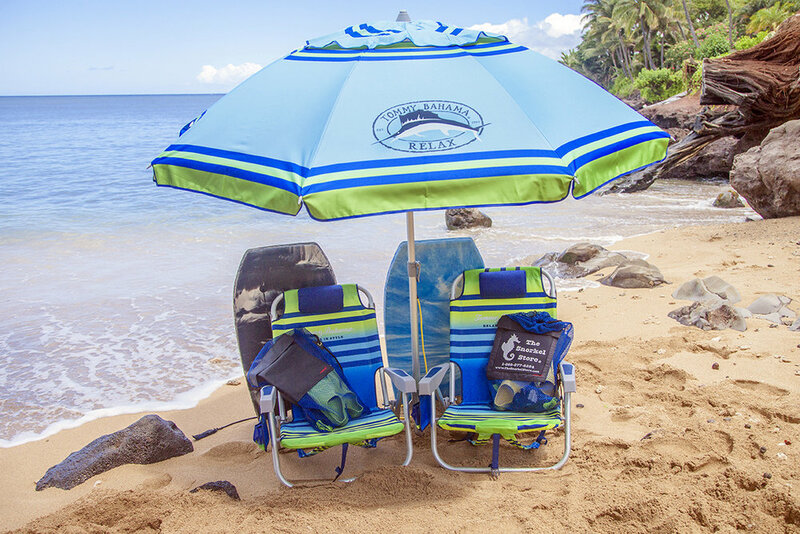 Maui Beachfront Rentals guests receive special discounted rates at The Snorkel Store. Make sure to mention you're part of our "Ohana" while visiting one of their locations, or use our discount code “BEACH10” online, over the phone, or in the store. Rated 5 Stars on Google, TripAdvisor, and Yelp! Three Activities for One Great Price! Save a bundle when you package three of the most popular island activities from our adventure partners, The Snorkel Store.